From the outpouring of support following the flood to welcoming the public into our new space, we’ve got plenty of Good Fortune to celebrate! Join ArtWorking for a fun evening of studio tours, artist meet and greets, shopping our new store and gallery, and much more! Light refreshments will be available. This is a family-friendly event and all are welcome! 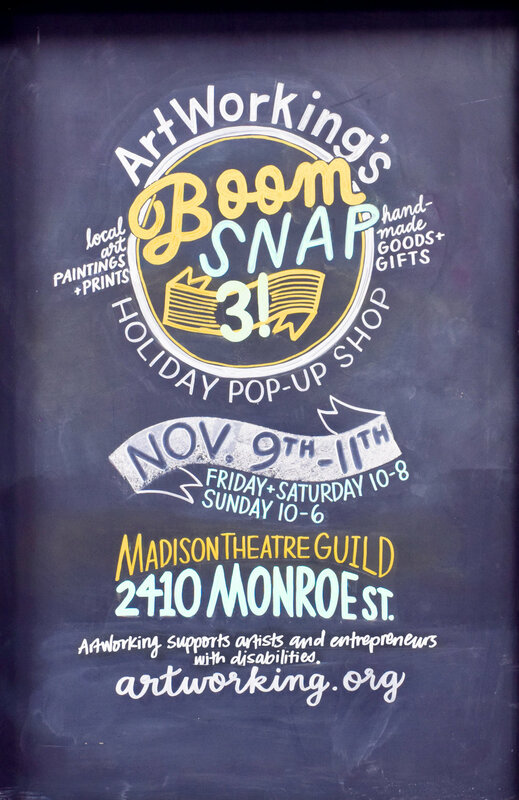 Artworking’s 3rd Annual Holiday Pop Up Shop. At Madison Theatre Guild, on Monroe Street in Madison.